In one compact housing, the Xeva-1.7-320 digital camera combines a thermo-electrically cooled InGaAs detector head and the control and communication electronics. 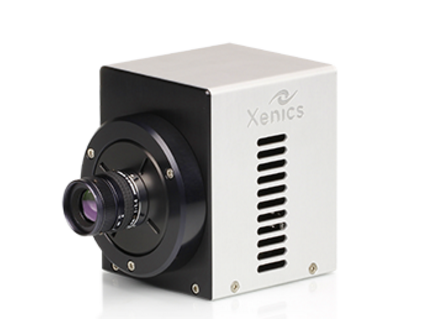 The Xeva-1.7-320 unit is available with standard (up to 1.7 µm) InGaAs detector arrays and comes in various speed versions: 60 Hz, 100 Hz and 350 Hz. It allows you to choose the most suitable detector-camera configuration for your specific application. The camera head interfaces to a PC via standard USB 2.0 or CameraLink. Each camera is delivered with a graphical user interface Xeneth, which offers direct access to various camera settings such as exposure time and operating temperature. The software tools include two-point non-uniformity correction and bad pixel replacement.